It really makes me overwhelm when people considers me as their friends. I do love it when they have never forgotten to include me either. 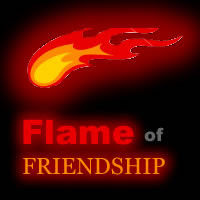 Sweet Juliana of Pinay Wahm and Rosemarie shared me this amazing flame of friendship. Thank you for a bunch dear and stay as sweet as you are. The burning icon of love.Undying picture of hope. And now it's your turn to flame yourself! Meet new friends. Discover friendship. Copy this post starting from the PICTURE ABOVE to the endand add your blog on the list below.Let's start FLAMING! OOOPSS!! Don't forget to invite your friends! It's good to hear na ikaw eh nandito na. Finally! Now your life here begins. I am wishing you and your man the best! 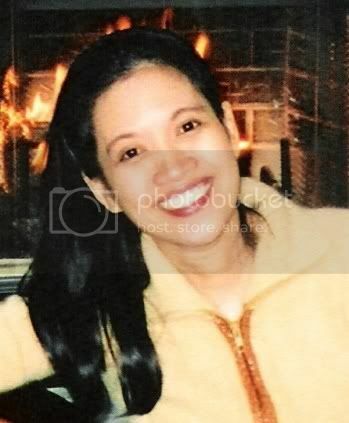 Hello sis Nova, Kmusta na? thanks for dropping by. I bet your very happy now. You take care always and best regards! Hi Nova, kumusta? late ko sa news nimo ha..naa naka US? Nice and take care... GOODLUCK SA FAMILY LIFE!!!!!!!!! hi sis, thanks for tagging allinkorea. btw, how many links are there? i can only see 4 links is that right? Thx much for the visit. http://www.usawifey.blogspot.com salamat-please update my link.